If the world’s economies still need central bank life support to survive, they aren’t healthy–they’re barely clinging to life. On the other hand, we’re being told the global economy is in synchronized growth and this is the greatest economy ever in the U.S. and China. Wait a minute: so the patient has been on life-support for 10 years and authorities are telling us the patient is now super-healthy? If the patient is so healthy, then why is he still on life support after 10 years of “recovery”? If the global economy is truly healthy, then central banks should end all their stimulus programs and let the market discover the price of credit, risk and assets. If the economy is truly expanding organically, i.e. under its own power, then it doesn’t need the life-support of manipulated low interest rates, trillions of dollars in central bank asset purchases, trillions of dollars in backstopping, guarantees, credit swaps, etc. If the economy were truly recovering, wouldn’t central banks have tapered their stimulus and intervention long ago? Instead, central bank stimulus skyrocketed to new highs in 2015-2017 as global markets took a slight wobble. That little slide triggered a massive central bank response, as if the patient had just suffered a cardiac arrest. As for China’s economy being so healthy–then why are Chinese authorities expanding credit in such manic desperation? Healthy economies growing organically don’t need authorities pumping trillions of yen, yuan, euros and dollars into credit and asset markets. 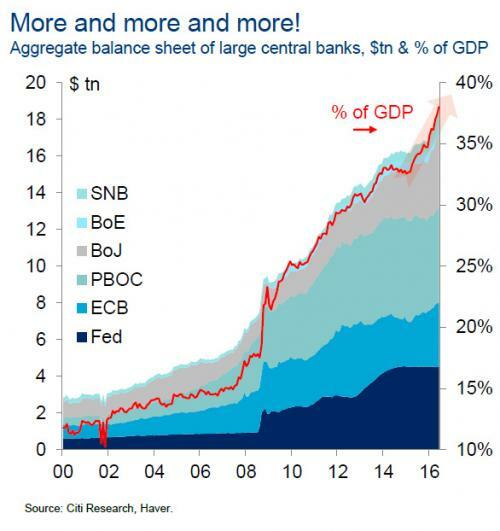 So what are central banks so afraid of? 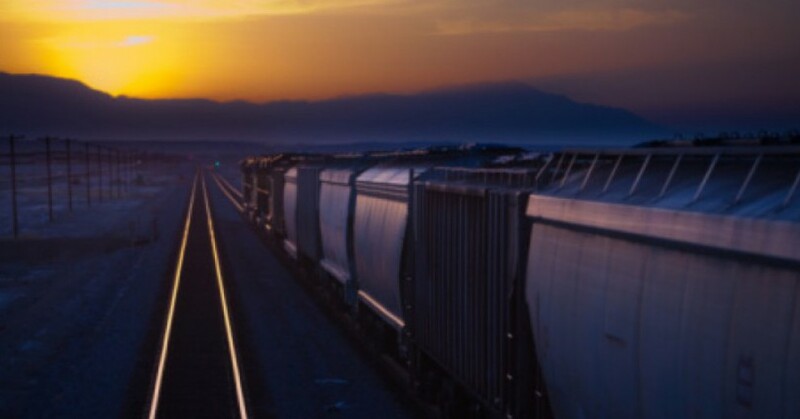 Why are they still tiptoeing around in fear after 10 years of unprecedented stimulus? 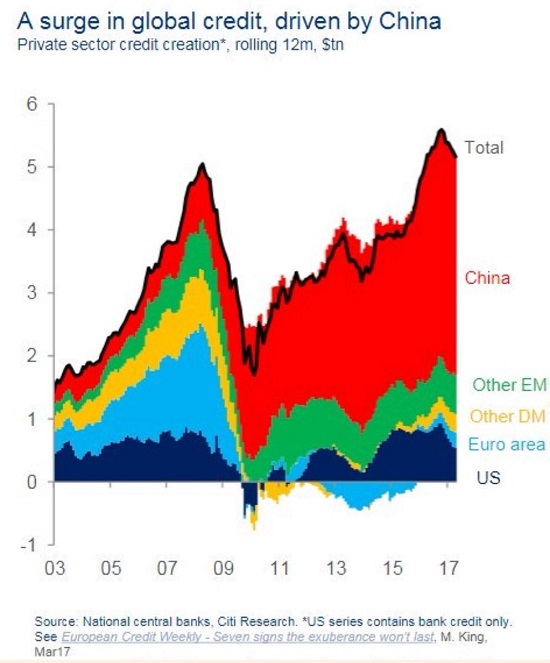 The answer is as obvious as the emperor’s buck-naked body: central banks know the global economy is so brittle, so fragile and so dependent on cheap credit for its survival that the slightest contraction in credit will collapse the entire system. If the world’s economies still need central bank life support to survive, they aren’t healthy–they’re barely clinging to life. The idea that central banks can wean a sick-unto-death global economy off life support is magical thinking, and central banks know it. If the patient isn’t getting well after 10 years on life support, he isn’t going to get well. And so we have the travesty of a mockery of a sham of “tapering”, a gimmicky PR charade of reducing the trillions of life support by a few drops, as if the patient will leap off the gurney and run a marathon as soon as we reduce the stimulus by a few more drops. It would be laughable if it wasn’t so delusional. It’s one or the other: if the patient is healthy, then withdraw all stimulus and let interest rates go wherever market participants take them. If the patient is actually extremely ill, then maybe we should look beyond central banks propping up a rotten, corrupt, exploitive, venal, parasitic, predatory status quo to systemic transformation. This entry was posted in banking, Business, Currencies, Debt, Economics, Economy, Financial markets and tagged central bank policies, Recovery. Bookmark the permalink.